Lacquer Lockdown: Hot Off The Stamping Press: MoYou London Capricorn Zodiac Collection Nail Art Stamping Plate! 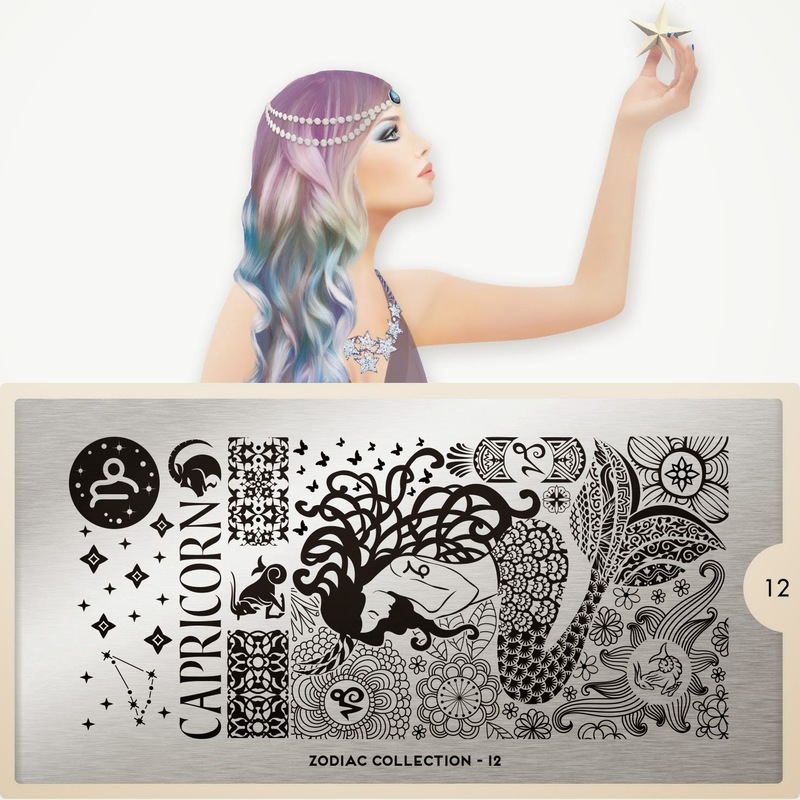 Hot Off The Stamping Press: MoYou London Capricorn Zodiac Collection Nail Art Stamping Plate! Lol! You know everyone keeps saying that the earlier plates were the best....etc etc but I actually think MYL designed then all at the same time and is just launching them one at a time. They are always ahead that's why when they release one collection we see the expansion a week later you know? agree. feels a bit like repeating shapes and getting to ordinary shapes. looking forward for a chalenge!